February seems like a long time ago, but we have been very busy behind the scenes of the Festival of Creative Learning, well, learning…and being creative. Before the Scottish summer and ‘other’ festivals truly overwhelm our senses, we would like to share some updates to remind you that we are here, and to begin sparking your imagination with ideas of how you can work with us from the new academic year. Firstly, we have listened. 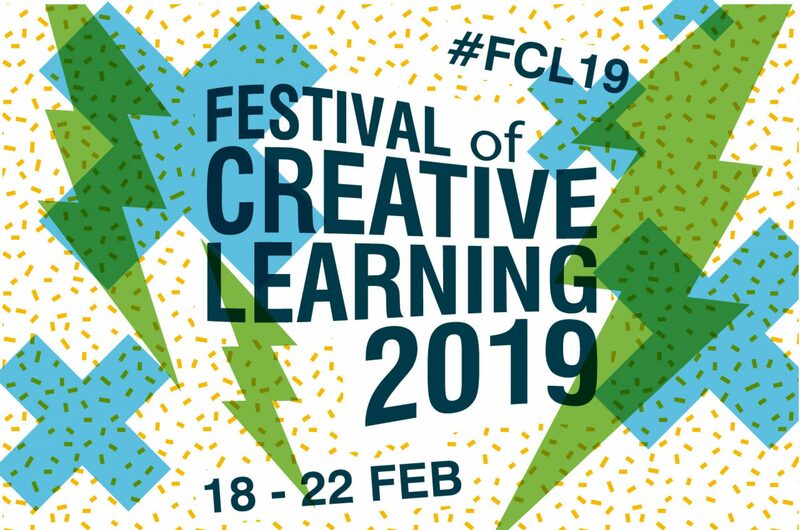 Since the February festivities, we have been carefully reading all your feedback about all aspects of the very first Festival of Creative Learning. Informed by what we have learned so far, we are delighted to share that by September we will have a beautifully improved and significantly more functional website that we hope will represent the innovative and dynamic values we embody. In tandem with this we are working to make the event booking system more user-friendly, allowing our marvellous event organisers to showcase their offerings in a superior format. The other big change you may notice is how we will communicate and share resources with those delivering or supporting events. Basecamp attracted some criticism from those of you involved this year, so we are currently undergoing a process of separation from this platform whilst consolidating our resources based on what you have told us you really want. We are not quite ready for the grand unveiling yet but we are confident enough to assure you that it will not be perfect. We have decided to practice what we preach by being open to taking risks, to failing, and to ‘building and prototyping ideas in a supportive environment’. As always, we look forward to receiving your feedback. It has not all been about change though, we have also taken some time to celebrate the achievements and recognise the positive impact of the Festival. Just this week, Jennifer and I bumped into two students who worked with us in different capacities this year and are currently enjoying internships at the University. Hearing that one of these superstars is currently concocting a cunning plan in collaboration with other members of the University community to develop their event ready for the Festival next year has made our month. Gladly this is just one example of the impact the Festival has had. The next piece of good news is that hot off the press is our Festival Impact report, designed by Dave McNaughton to highlight some more but by no means all of the Festival stories. Take a look below and be sure to share with your friends and family. The excitement does not end here! We are very pleased to share our Festival film crafted Perry Jonsson. This includes a selection of images and interviews from the February week and is a celebration and alternative way of capturing the Festival. You can view it here. We hope you like it! We are often asked how people access support for creative events outside the February week and very soon we will have the answer for you. Coming to an Institute for Academic Development webpage near you we will shortly be announcing our revamped funding schemes process, which might just have something for you! Finally, for those of you heading away at any point over the next few months have a lovely time. For anyone like me who will be working hard non-stop throughout do get in touch and share your ideas and plans for the next Festival of Creative Learning. Edinburgh is widely regarded as a world-leading festival city with a colossal programme of events running throughout the year. Beyond the official calendar promoted through Edinburgh Festival City there seems to be a never ending stream of diverse, engaging and exciting festivals appearing…everywhere! It is encouraging to see many of these festivals thriving and returning year-on-year. At the Institute for Academic Development we loved delivering the first Festival of Creative Learning for The University of Edinburgh and have been dedicating time recently to explore the successes and growing edges of the curated week to inform future improvement and development. Having carefully combed through all the wonderful and constructive feedback we are beginning to shape a cunning plan to implement some changes. We want to provide even more opportunities and support for staff and students at the University who embrace the challenge of organising and delivering events throughout the new academic year. We will share all of this with you once the embargo* has been lifted, but in the meantime we would like to highlight a few other festivals the University is involved with that have attracted our interest lately. Festival of Museums at The University of Edinburgh, 19th-20th May 2017. Part of the nationwide Festival of Museums with events taking place across University buildings. Festival of Open Learning, summer 2017. Taster, introductory and short courses offered by the Centre for Open Learning. Festival of Social Science, November 2017. A week-long celebration of social science with events held across the United Kingdom. Applications to organise an event are being accepted until the deadline on 4th May 2017. Guidance for potential University of Edinburgh applicants can be found here. Our Festival Pop-up programme continues throughout the year, so if you would like support with arranging an event that meets our aims and values before February please contact us. We are also open to receiving guest blog post submissions should you have something to share that you feel our audience would enjoy. *there’s not really an embargo, I’m just pretending to be a covert operative today as we had a VIP visiting our building earlier. On Wednesday 15th March 2017 we acknowledged the efforts of everyone involved in the curated week of the Festival of Creative Learning with an award ceremony and thank you reception at the Edinburgh Centre for Carbon Innovation (ECCI). The event was incredibly well intended by event organisers,attendees and partners, all of whom received a beautiful Festival of Creative Learning stainless steel water bottle as a token of our thanks for their involvement in #FCL17. Take a look at the Storify we made of the event here. We received 131 nominations for nine awards, which made the task of shortlisting and deciding the winners and runners up for each category incredibly difficult. We frequently found ourselves debating whether we could just give everyone an award, but eventually concluded nobody would thank us for keeping them there a week while we presented them all. Now, as we are rounding up our Festival “decompression and future planning” week, I am pleased to publish the results for all who were unable to attend the event. Feel free to applaud your efforts and those of others as you scroll through the images below. All photography is courtesy of the marvellous Mihaela Bodlovic. Thank you once again to everyone involved. Be sure to look out for pop-up events throughout the year and get those thinking caps on for ideas you could pursue as a pop-up yourself or for #FCL18! Contact us to discuss your creativity in more detail. It’s just over two months since I started as Projects and Engagement Coordinator for the Institute for Academic Development at the University of Edinburgh. It has been a fascinating and joyful time, and I’m especially excited as the Festival that I am looking after is taking place next week. It’s called the Festival of Creative Learning, and this is the first year of the Festival proper, though it has evolved from something called ‘Innovative Learning Week’ which ran for 5 years (learn more about ILW here). After an intensive period of development led by the previous Festival organiser, the brilliant Johanna Holtan, the Festival of Creative Learning emerged, and it’s a privilege to be able to continue all the good work that has gone into making the Festival what it is and to think about how it can continue to grow in future. The Festival aims to provide space for staff and students at the University of Edinburgh to play, to experiment, to innovate, to collaborate and, dare I say it, to fail. How precious, how rare it is to discover this sort of space – where the emphasis isn’t on how many seats we fill, how many tickets we sell, how many answers we get right, but rather on truly exploring and pushing boundaries, communicating in radically new ways and leaping into the dark to find out what’s there. Our goals are to help staff and students create innovative, experimental and collaborative ways of learning in a safe space, to give people the training and support they need to design and run events, and to celebrate the work of all our event organisers and the discoveries we make together along the way. By its very nature and commitment to openness and diversity, the programme covers an enormous range of disciplines and activities, and we encourage everyone to peruse our events calendar to get a sense of the depth and breadth of the events on offer. Rather than running each of the events ourselves (our fabulous but small team includes my colleagues Lucy Ridley and Silje Graffer), we seek proposals from staff and students, distribute funding, provide a platform and communications umbrella for the events and aim to empower our staff and students to get the most out of what we provide. We hope that the Festival is a learning experience not just in terms of the research being conducted but also in events design and management, imparting vital skills to organisers that they can make use of in future employment, study and enterprise. Much work is being done to explore the future of learning and teaching, and learning that involves doing and which empowers students rather than treating them like inanimate vessels to be filled is on the forefront of what appears to be not only the most effective but also the most enjoyable means to growth. We want to celebrate the idea that we learn better when we are enjoying ourselves, when we are treated with care and respect, and when we are encouraged to use our imaginations and to play. The Festival will continue to develop, and we’ve already gathered a long list of ideas about ways to make the Festival even more useful, expansive, innovative and attractive (and do get in touch with your own suggestions), but first our team is going to visit as many of the events as we can in person to see the extraordinary experiments that our organisers have brought to life. We hope you will take the leap as well and join us for at least one of our events next week, and consider developing an idea for a Festival Pop-up event throughout the year or for an event for the Festival of Creative Learning 2018. In the meantime, keep an eye out for our hashtag #FCL17 on social media, where we’ll be telling stories and posting photographs all next week. You can read more about the aims and values of the Festival here, and you can book tickets for our events here. Many of the events are aimed primarily at staff and students at the University, however the following events are open to external attendees and can be booked via Eventbrite: Introduction to Massage in Schools Programme, Manifest Destiny: A Multidisciplinary Forum on Mars Colonisation, Design for Wellbeing, Biffa tour: How does recycling work?, Learning Language Through Theatre, Making History: a Feminist Craft Project, ‘Camelot, tis a silly place’: Popular Culture and Scottish Heritage Castle Trip, Tech Art Collaboration Workshop and “The Birds and the Bees” Board game. Here’s to learning without boundaries, in ways that celebrate the creativity inherent in each of us. This is our very first post on our new blog and part 3 of our series of blogposts documenting the process of evolving Innovative Learning Week (ILW) into a Festival of Creative Learning (FCL) – see the other posts here. Me and Snook had our initial report discussion meet-up on the 22nd of August, where they had collected the recurring themes and concerns from the interviews with the ILW 2016 organisers and our design workshop with people interested in the festival. We continued to ask ourselves ‘How might the Festival…?’ questions related to the emerging themes and then scribbled down potential solutions to these. We have been in discussion with Snook about where we want to focus our attention in exploring these themes and what they might mean and how it might look like for the Festival of Creative Learning in 2016/17 and beyond. It is important that in evolving ILW into Festival of Creative Learning (FCL) that we actually do make new features available, but making sure that they are manageable for our team. We also don’t want to loose the momentum of ILW 2016, hence we want to continue with building upon the support structure we created last year for ILW. The blueprint session emphasised that in order to avoid jeopardising the success of the February festival, the different notions of new ways of supporting innovation and creative learning would take place after Feb 2017 for the year 2016-17, and the festival could scale up such initiatives the following year. See how you can get involved with being an event organiser in the February week on our new festival website. There you can also read more about how you can get support from us if you’re running an event outside the February week. Read more about the strategy for the Festival 2016/17 in our stratgey blogpost. If you want to read about how our collaboration with Snook started, see the blogpost about us revamping ILW last year here and the decisions that came out of it here. Also see our blogposts about last year’s blueprinting session and design workshop. The impact report from ILW 2016 and more information about what Snook helped us build can be found here. If you have any questions about The Festival of Creative Learning and how you can get involved, please email creative.learning@ed.ac.uk.